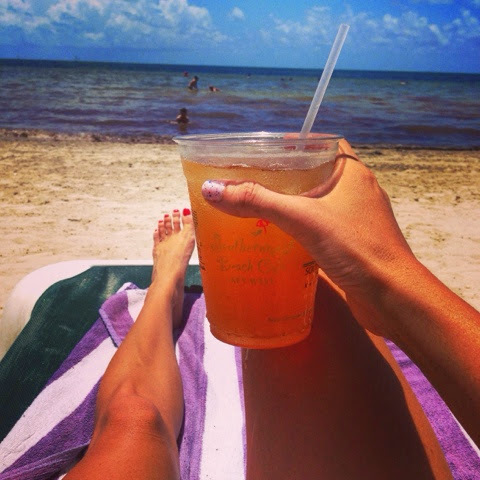 Sequins and Sea Breezes: There are no rules in Key West! Well I'm officially alive and back.... kinda! 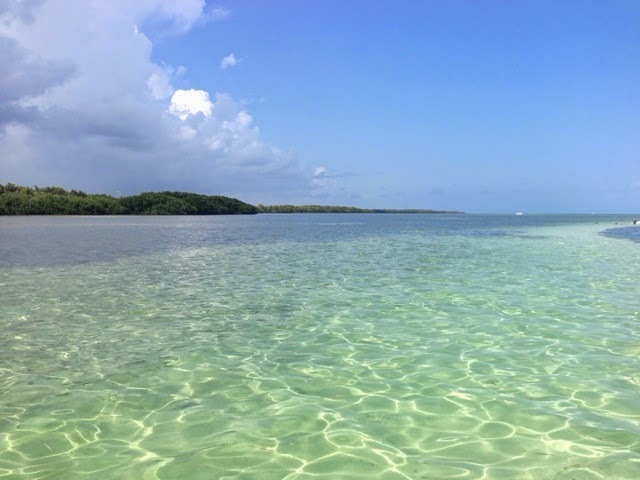 I'm kinda cheating right now; I'm writing this post in the car (for the second time actually because Blogger decided to not save my last post I wrote) on my way home from Key West since we left a lot later than originally planned! So if I seem tired and a little unlike myself it's because I've been sitting in a car for the past 6 hours and I wasted my fun post on the last one I wrote about an hour and a half ago. But don't worry, I took a ton of pictures with my DSLR and I can't wait to share them and my trip details with you guys as soon as I get a chance to look through them! For now... iPhone photos it is, so sorry for the lack of quality on these dolls! So for anyone who doesn't know, me and a group of friends take a yearly vacation to Key West for 4th of July weekend. It's an amazing weekend filled with great memories, lots of inside jokes (hence the title of this post), LOTS of food and drinks (my liver is glad this weekend is over) and plenty of fun times! This is a really big deal for us, we start planning in September for next July! Not that there's TOO much planning involved since we stay at the same amazing place every year, but more on that later! If you've never been to Key West before I highly recommend making a trip sometime! The water isn't quite as pretty as some of the other Keys but it's still such a fun and pretty place. This year we got to go out on a boat our first day which was so much fun until we all started to get really hungry but we were at the mercy of the driver so no food for us... But again, more on that later! However the boat did result in some fun pictures and amazing memories so I can't complain! 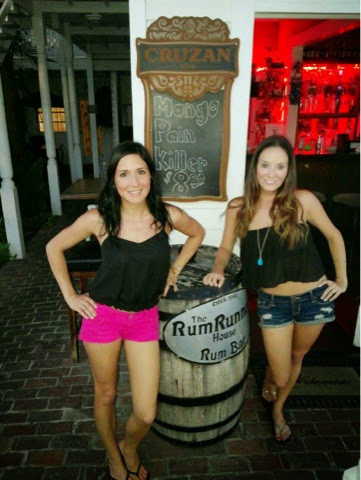 One of the things I love about Key West is the vibe. It has such a laid back, relaxed vibe but still enough excitement to not be boring. Seeing someone out in heels is a rarity (I didn't even bring heels!) and the whole "no shirt, no shoes, no problem" saying couldn't be any more true here. You do a lot of walking so comfort is definitely a must. That's another thing... Can't finish your drink? No problem, just put it in a plastic cup and you're good to go (if you aren't driving of course)! And most bars don't care if you walk in with a drink you bought down the road. It really is one of those places I feel like you have to visit at least once! If you don't have kids skip Disney World and hit up Key West instead. It's much more adult friendly! How can you not love this view?!? 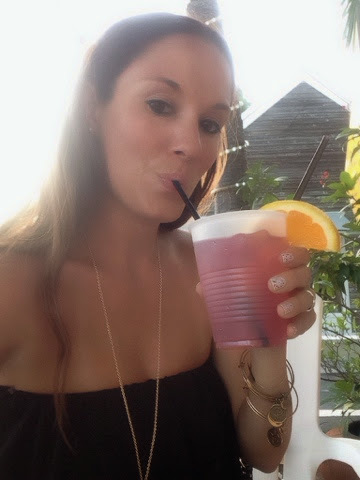 Key West... You are my happy place! Your photos were making me so jealous this weekend!! So glad that you had a great time and I'm love that bikini with the blue funky back!! Glad your back girly! That last photo - amazing!! I'm seriously way too jealous right now! I hate being land locked! Gorgeous photos! What a great weekend-- and such a fun tradition to look forward to going every year! What a fun long weekend! 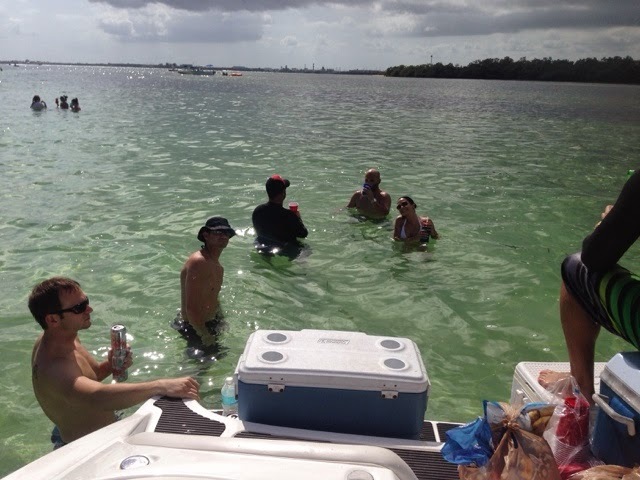 Ahhh love the Keys.. this looks like such a fun trip & can't wait to see more photos. That's so nice that you go with friends every year. I feel like it would be so hard to get my friends to commit, maybe one day! I want to go backkkkkkkkk so I can visit my favorite clothing optional bar hahahaha. Looks like such a fun weekend! And seriously obsessing over that blue suit! LOVE the back of your swimsuit! Looks like an amazing time! Glad you had so much fun!! Looks like you had amazing weather too! Can't wait to see the other pictures!! Yes please! I'm down for a Key West trip :) We've never been to the Keys but that's another spot for my travel bucket list! 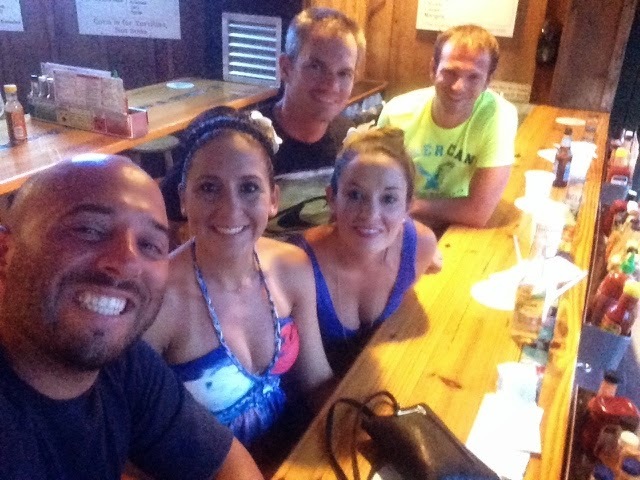 Looks like you guys had a blast! It looks like you had a blast!! I love Key West! We went there last Spring for a wedding and it was such a fun week! I love the atmosphere and that everyone is so laid back! I love your blue bikini btw!! That back is awesome! Ugh it looks amazing there and I am entirely jealous! Also, I love that blue bikini top. Love Key West. Fun photos. That blue suit is perfection! Love the back of it! :) Glad you had such a great time love! Oh I want to visit Key West SOOOO Bad... I have never been. And your trip looks soooo fun!!!! Love the photos! Glad you had a blast! That water is pretty gorgeous nonetheless! Your panoramic photo of the beach is so pretty. I need to get back there now that I'm no longer 12 and on a cruise with my family hah. Amazing trip has me convinced! Ahh looks like such a blast!!! I LOVE the top picture of you and the back of your suit--to die for :) And aren't open container laws the best!? ha! Looks like you had so much fun!! I am SO jealous!! That blue suit, I'm in love! Looks like a wonderful time girl :) So pretty! I have been wanting to go to the Keys, now I really want to! This looks like such a fun weekend!! I love that pic of you on the boat! Gahhhh... so jealous! 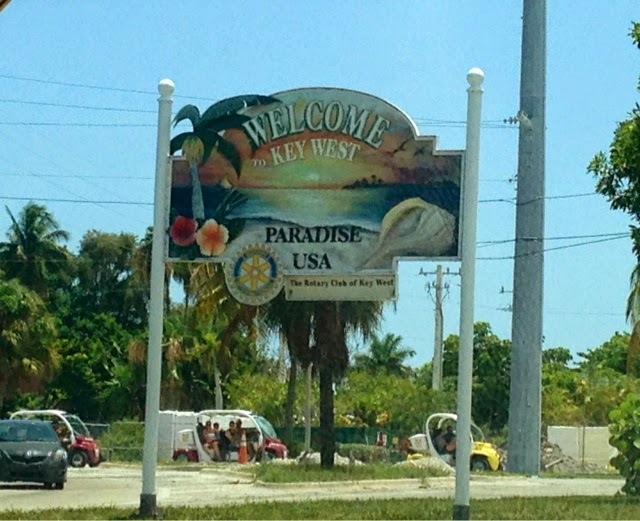 I've been to FL but never the keys before! Looks like an amazing time girl! I am obsessed with the back of that blue bikini top it's gorgeous!!! Oh My I just love you bathing suit top! That back is amazing! Love the pictures and mirror tint sunglasses. Check out my blog for the latest eyewear trends and let me know what you think. XOXOXO.